This issue features essays about the expanse of archaeological remains at the Buddhist monastery Nalanda; the identity of the artist who painted the handscroll Illustration to the Second Prose Poem on the Red Cliff; King Jeongjo’s patronage of the Korean painter Kim Hong-do; an analysis of the relationship between the textual description and the visual representation of the Mogao cave shrines’ thousand-armed Mañjusri’ deity; and the shifting identities in Wu Bin’s Album of the Twenty-Five Dharma-Gates of Perfect Wisdom. Contributors include Kumja Paik Kim, Hui-Chi Lo, M. B. Rajani, and Michelle C. Wang. 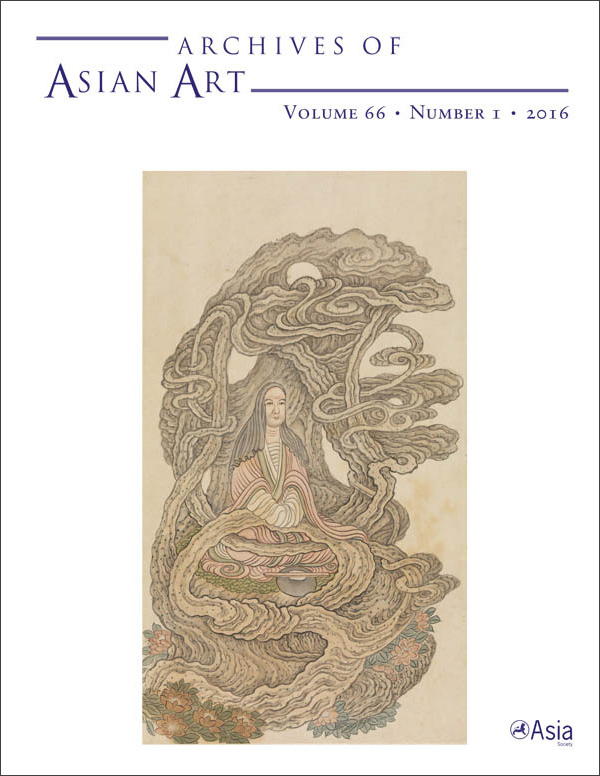 View the table of contents for Archives of Asian Art 66:1, at the journal's online site.